Niagara-on-the-Lake is home to 27 wineries! The original area was a Neutral Nation village known as Onghiara. In 1781 the British government established Butlersburg, which later became known as West Niagara. Many of the first white inhabitants were loyalists, loyal to Britain, who fled during and immediately after the American Revolution. 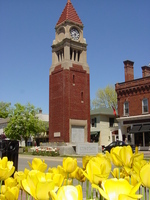 In 1792 the village was incorporated as the Town of Newark and was named the capital of the Province of Upper Canada. The town lost that distinction to York (now Toronto) in 1797, as Newark's proximity to the United States presented a danger. The town was renamed Niagara in 1798. During the War of 1812, American forces invaded Canada, and captured (and later destroyed) the town before they withdrew following their abandonment of captured Fort George. The British rebuilt the town, however, and today it has retained much of its historical charm. The present name was adopted around 1880 as a Postal Address to distinguish the town from Niagara Falls. The name was not officially adopted until 1970, when the Town of Niagara and the Township of Niagara were merged. Located a short distance from Niagara-on-the-Lake the village of Queenston was first settled in the 1770 by United Empire Loyalists. The village lay at the mouth of the Niagara River gorge, and consisted of a stone barracks and and few scattered farmhouses and homes. The largest battle in the 1812 war was the battle at Queenston Heights. It was a decisive battle, despite the result being mainly in part to a poorly managed American Campaign who were unable to get the bulk of their invasion forces across the Niagara River. British reinforcements were able to arrive forcing the Americans who made it across the river to surrender. Unfortunately, during the battle at Queenston Heights, General Sir Isaac Brock was struck by a bullet and killed. 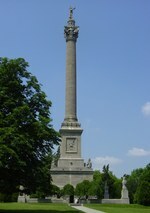 In 1824, a monument was erected to commemorate this battle as well as the death of Brock. 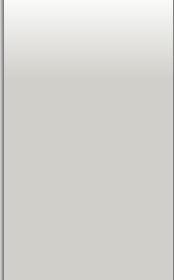 In nearby St. Catharines, one of Canada's most progressive universities, Brock University, is named of the fallen General. For more than two centuries McFarland House has stood as a monument to the impeccable manners, good taste and gracious living that epitomizes Niagara-on-the-Lake.Visit us and experience a taste of Georgian style and pace. Qualified costumed interpreters provide guided tours of this historic home throughout the day. Come visit this gem - built in 1800, the House is the oldest property owned by The Niagara Parks Commission. Peace and Serenity await your arrival!